Every church should have a clear, simple process for making disciples. Does yours? 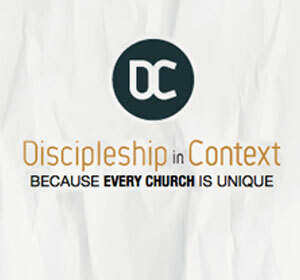 Almost every church engages in some form of discipleship. When a pastor uses the Bible in a sermon, or a leader opens the Scriptures to a small group, the church is providing the initial phases, but lasting discipleship must go far beyond that. If a new Christian who attends weekend worship services only asked for help in becoming more like Christ, what would your answer be? Would everyone in leadership give the same answer? Do you share a clear, simple first step? Followed by a second step? But this is important for more than just a “new” Christian. How are you intentionally and methodically helping other believers to deepen their walk with Christ? 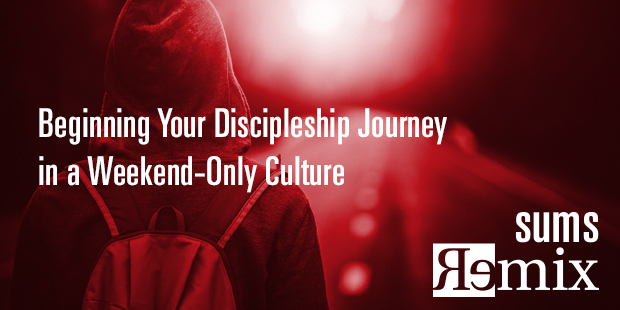 How can you impact a “weekend only” culture and begin to instill basic disciple-making practices into your church’s life? 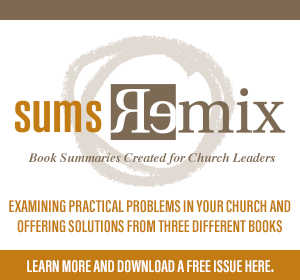 Solution #1: Build your system around shared faith catalysts. Deep and Wide provides church leaders with an in-depth look into North Point Community Church and its strategy for creating churches unchurched people absolutely love to attend. For the first time, Andy Stanley explains his strategy for preaching and programming to the “dual audience” of mature believers and cynical unbelievers. He argues that preaching to dual audiences doesn’t require communicators to “dumb down” the content. According to Stanley, it’s all in the approach. You’ll be introduced to North Point’s spiritual formation model, “The Five Faith Catalysts,” as well as three essential ingredients for creating irresistible environments. When Andy Stanley and the team that launched North Point Community Church dealt with the question of spiritual formation or discipleship, they rejected a class-based, program-driven, curriculum based model. They didn’t believe that classes created mature believers, just smart believers. Instead, they developed a more holistic approach. Over time, North Point developed five dynamics that repeatedly showed up in people’s faith stories. Their decision to create a ministry model around these five “catalysts” of faith was a defining moment for their church. Your organization’s spiritual growth model is perfectly designed to produce the results you are currently getting. The quest for spiritual maturity is a lifelong endeavor, and your approach to spiritual formation must be flexible and dynamic enough to support you through every season of life. Here are five faith catalysts, five things God uses to grow your faith. Private Disciplines – personal spiritual disciplines introduce a sense of intimacy and accountability to our faith walks. Private spiritual disciplines tune our hearts to the heart of God and underscore personal accountability to our heavenly Father. The way you talk about the Bible on the weekend will determine their interest in the Bible during the week. Personal Ministry – few things stretch and thus grow our faith like stepping into a ministry environment for which we feel unprepared. If we ever get to the place where we are willing to make what we have available to God, amazing things will happen. Ministry forces us to be constantly dependent on God, and thus our faith is strengthened. Providential Relationships – occur when we hear from God through someone or when we see God in someone. While it’s beyond our ability to manufacture any type of relationship, what we can do is create environments that are conducive to the development of these types of relationships. We constantly look for ways to get people connected more quickly and keep them connected longer. Pivotal Circumstances – it’s not an event itself that grows or erodes our faith; it is our interpretation of the event that determined which way we went. The conclusions we draw about God in the midst of our pivotal circumstances drive us toward or away from Him. Andy Stanley is always the first to warn church leaders “not to do what we do.” But he also makes no apology in pushing church leaders to closely examine the practices at their own churches to determine their validity for accomplishing the purposes they are designed to accomplish. How about your church? Have you defined characteristics and habits of a growing disciple? What strategy do you follow in moving individuals toward a set Christ-centered of faith catalysts? At your next team meeting, list on a whiteboard or chart tablet the most important attitudes, actions, or evidences of a growing disciple in your church. As you look at your list, how could you combine or group these into “marks of a disciple” and categorize them into the four to 6 most important at this time.? How can you make them clear using compelling and catalytic language? Now begins the intensive and ongoing leadership task of aligning your programs and systems to achieve these outcomes. The real beauty in clarifying, focusing, and strengthening the disciple-making process of your church is this: the people who are growing will, by nature, take other people along with them. Growing people grow people. Consuming people consume programs. Without stating and integrating a simpler, intentional disciple-making process, your church will remain stuck in a bottleneck of the status quo and “weekend only” follow-ship. When you build your discipleship system around shared faith catalysts, your church can develop an effectiveness of growing disciples. To learn more about beginning your discipleship journey, start a conversation with the Auxano team today.